The document was published by the Ministry of Health and Family Welfare (MHFW) and is in PDF format. Reduce your business risk and accelerate innovative, safe, and usable products to worldwide markets. Rebranded as EMERGO by UL (still part of UL), our Human Factors Research & Design (HFR&D) team has extensive experience helping clients bring products to market and ensuring best-in-class user experiences. We view ourselves as part of the solution for making healthcare safer and more effective while also helping clients achieve their commercial goals. UL acquired Wiklund Research & Design (based in the USA) in 2012. The consulting practice has grown over 400% during the ensuing six years, reflecting strong demand for its services. 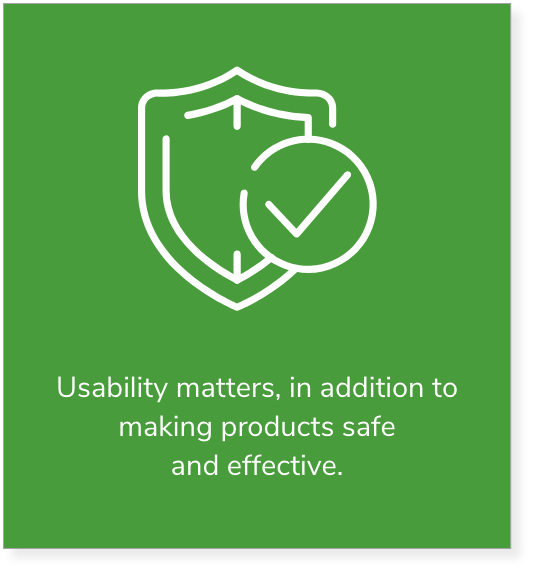 In mid-2018, UL acquired Medical Device Usability (based in the UK). The two consulting groups are now fully integrated and delivering services to an international clientele. Our consulting team has deep experience in the medical device and combination product domains. But it also serves several other industries, helping to ensure that consumer products, industrial products, software applications, and automotive products deliver a great user experience. Ensuring that human factors research and design efforts have complied with regulatory requirements and industry standards. Ensuring that the right level of creativity and energy has been expended to create excellent user interfaces to products. 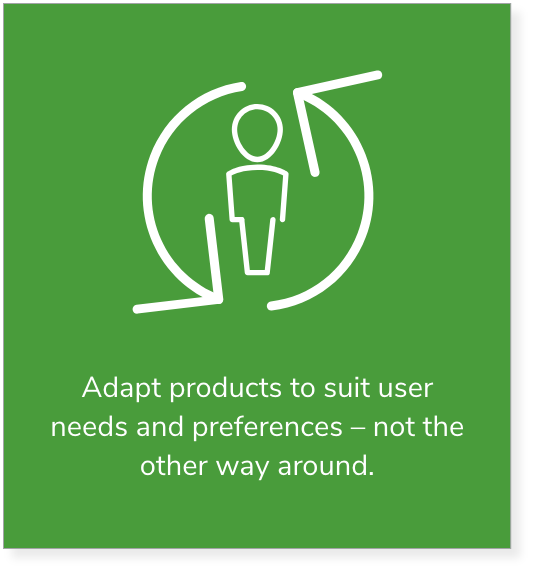 Accelerating product development efforts, in part by eliminating the need for user interface design rework. Guiding an appropriate level of investment in human factors research and design to achieve commercial goals. Delivering trustworthy advice on how to leverage internal and external resources. Lowering their business risk in myriad ways. Freely share our knowledge and know-how. Deliver an advantageous set of services related to matching products to people’s needs and preferences. Present value engineering options when possible. Deliver services on time and on budget. Help develop in-house HFR&D capabilities if that is the client’s goal. Seek feedback to help us continuously improve our service. We have helped many clients bring excellent new products to market, many of which have required regulatory approval in the US and abroad. Here is a sample of medical devices, combination products, and IVDs to which we have contributed. User research leads to a richer understanding of the factors controlling the quality of user interactions with your product. Our human factors “toolkit” contains many types of analyses that focus on mental and physical interactions with products. 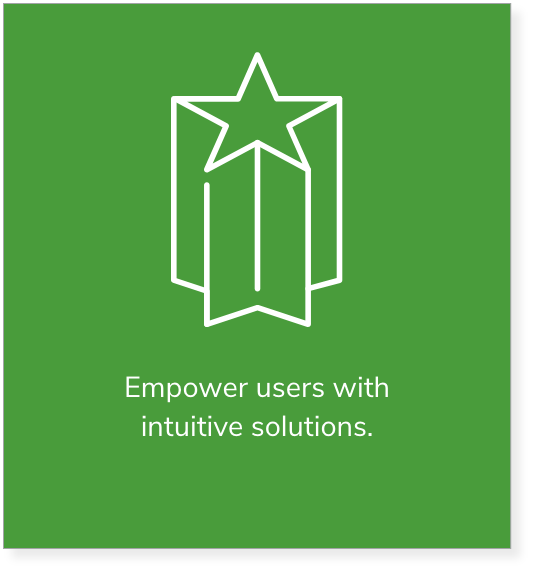 Our medical device UI design approach leverages user research to achieve functional and aesthetic goals. Summative usability testing, formative usability testing, expert critiques, heuristic analyses, cognitive walkthroughs, and more. We want to make the world safer and better through HFE research, training, consulting, and program development. Spotlight on Human Factors Engineering: Should kids be operating medical devices independently? Can Medical Robots Make Mistakes? We – this book’s authors/designers – are members of the Human Factors Research and Design (HFR&D) at EMERGO by UL. 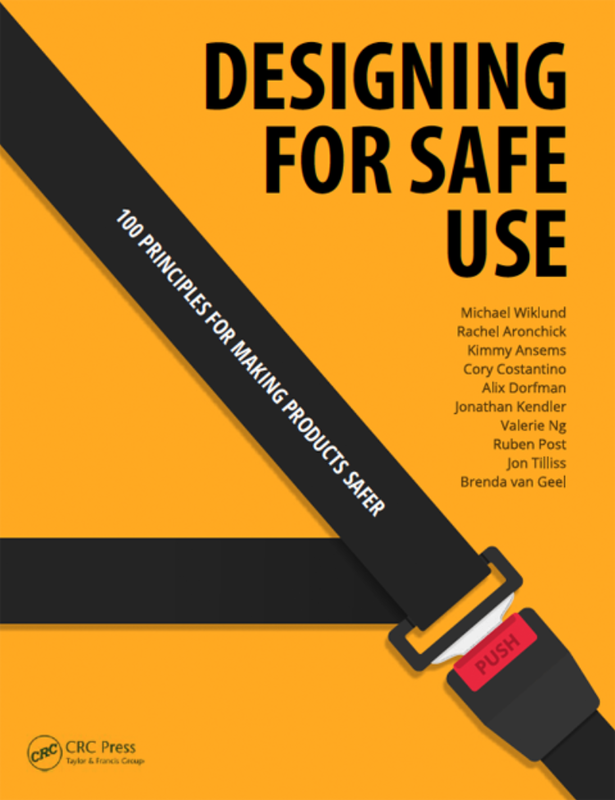 In this book, we have consolidated the lessons we have learned about designing for safe use, that is, designing products that shield people from harm to the extent possible. We settled on a target of 100 principles on how to make products safer. The principles pertain to hardware, software, document, and document design. Yes, settling on an even one hundred principles was a bit arbitrary and cliché. The myriad ways to design for safe use do not stop sharply at one hundred. But, we think we covered many of the key ones. We elected to use the term “product” broadly to cover things one might consider to be systems, machines, equipment, instruments, tools, applications, manuals, and instructions. These are all things that need to be designed properly to eliminate or reduce the chance of harm due to normal use and foreseeable misuse. Most of the design principles could be addressed in an expanded form; even an entire book of its own. We choose brevity for the sake of communicating core concepts with some fun facts to spice things up. As you read the book, be mindful that the science and art of making things safe is ever changing and that some of the content we present is sure to age. So, complement our guidance with insights you may gain from other sources, ranging from books to technical articles to standards and more. 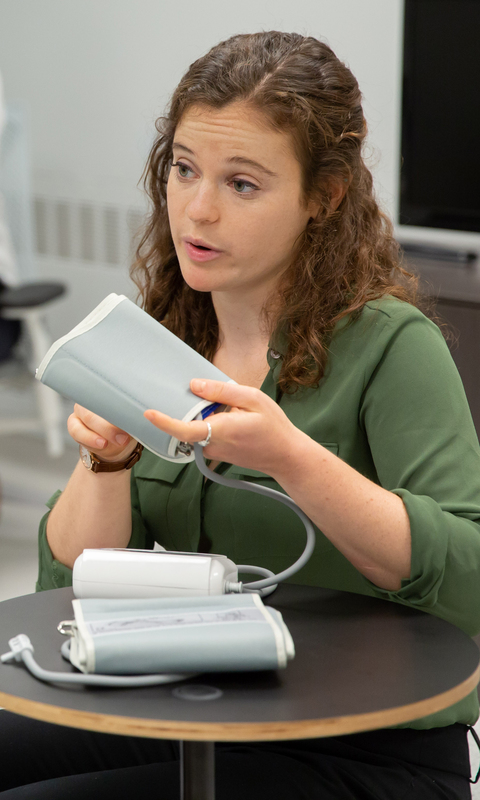 Usability Testing of Medical Devices covers the nitty-gritty of usability test planning, conducting, and results reporting. The book also discusses the government regulations and industry standards that motivate many medical device manufacturers to conduct usability tests. Since publication of the first edition, the FDA and other regulatory groups have modified their regulations and expectations regarding how medical device manufacturers should approach usability testing. Reflecting these changes, this Second Edition provides updated guidance to readers with an interest or direct role in conducting a usability test of a medical device or system. Key updates involve the 2011 FDA guidance on human factors engineering, requirements set forth by the third edition of IEC 60601 and closely related IEC 62366-1:2015, linking usability test tasks to risk analysis results, and analyzing root causes of use errors that occur during usability tests. 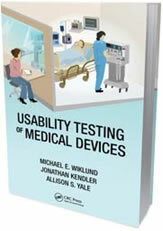 Written by seasoned human factors specialists, Usability Testing of Medical Devices, Second Edition is an informative, practical, and up-to-date handbook for conducting usability tests of medical devices. The book helps ensure a smooth and painless development process―and thus, safe and effective medical devices. Buy the book. 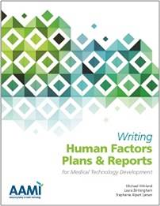 This book provides the foundation for developing specific human factors engineering (HFE) work products that are needed to meet the FDA's human factors engineering (HFE) guidance. The authors have created a fictitious company and product to generate concrete examples of the plans and reports developed during various stages of HFE. The book includes an HFE project plan, a formative usability test plan and report, a summative (i.e., validation) usability test plan and report, and an HFE report. These work products and additional content outline the activities necessary to develop safe and effective medical devices, making this book an ideal resource for anyone interested in the medical technology field. Buy the book. 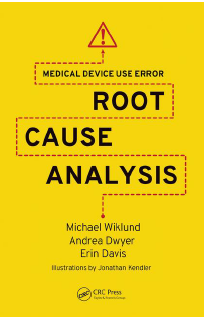 This book offers practical guidance on how to methodically discover and explain the root cause of a use error―a mistake―that occurs when someone uses a medical device. Covering medical devices used in the home and those used in clinical environments, the book presents informative case studies about the use errors (mistakes) that people make when using a medical device, the potential consequences, and design-based preventions. 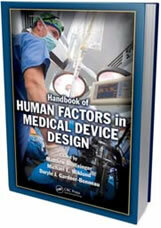 Developed to promote the design of safe, effective, and usable medical devices, Handbook of Human Factors in Medical Device Design provides a single convenient source of authoritative information to support evidence-based design and evaluation of medical device user interfaces using rigorous human factors engineering principles. It offers guidance on user-centric design supported by discussions of design issues, case studies, and examples. The book sets the foundation with coverage of fundamental topics such as aligning the interactive nature of medical devices to the expected use environments ranging from hospitals and ambulances to patients’ homes, drawing on anthropometric and biomechanical data to ensure that designs match the intended users’ bodies and physical abilities, and conducting usability tests and other evaluations to ensure that devices perform as intended. It then focuses on applied design issues, offering guidance on the design of specific types of devices and designing devices for particular use environments. Adapted in part from established design standards and conventions, the design guidance presented in this work distills professional judgment extracted from the contributing authors’ years of experience in applied analysis and design. Written in true handbook style, each chapter stands alone and includes tables, illustrations, and cross references, allowing you to quickly find the exact information you need. Most chapters begin with a general introduction to the selected topic, followed by the presentation of general and special design considerations and then specific, numbered design guidelines. The book also presents a listing of resources, literature, and website references. It not only focuses on the human factors issues that arise when developing medical devices, it supplies the necessary guidance to resolve them. Buy the book. Advocating a user-centered approach to medical technology design, Designing Usability into Medical Products covers the essential processes and specific techniques necessary to produce safe, effective, usable, and appealing medical systems and products. Written by experts on user-centered research, design, and evaluation, the book provides a range of alternative approaches to the subject. Wiklund and Wilcox explore how to make medical devices safe and effective by involving users in the design process. They discuss specific design and evaluation methods and tools, present case studies of user-friendly medical technologies and corporate human factors programs, and supply related resources for medical design professionals. The book conveys an in-depth understanding of the user-centered design process, covers design methods for FDA compliance, and offers guidance on performing a variety of hands-on user research, user interface design, and user interface evaluation. The authors make a compelling case for treating the user's needs and preferences as a top design priority, rather than an afterthought. They demonstrate that high-quality customer interactions with systems and products leads to effective medical diagnosis and treatment, increases the physical and mental well being of patients and caregivers, and leads to commercial success in a crowded marketplace. Buy the book. This volume investigates how major corporations, such as Microsoft, Borland, Apple, Eastman Kodak, and Silicon Graphics, address usability issues. It presents case studies of each organization, outlining their program structures, program goals, and team members' responsibilities and resources. The book also addresses how usability is marketed inside the organization and to customers, as well as the lessons learned during the course of product development efforts. Each illustrated study includes advice that should help readers establish and manage their own program. Out of print. Used copies might be available. Products have the capacity to evoke a sense of beauty or appreciation in us. Whether marveling over a new car, admiring the interface of our next generation smartphone, or wielding a perfectly balanced kitchen knife, we can appreciate perceiving their design. The features of an artifact, arranged and produced from following a plan. However, most of us are rarely aware of what exactly makes a certain product aesthetically appealing – or that aesthetically pleasing products are generally considered more usable as well. This thesis studies how our aesthetic appreciation of products is formed in the visual and tactile sensory domain. It identifies how unity (the degree to which a design comes across as ordered, coherent, and structured as one whole) and variety (the degree of differences, diversity, and number of elements in a design) can together explain our aesthetic appreciation for products. Furthermore, it identifies ways to influence unity and variety to create the most aesthetically pleasing designs. Available at Institutional Repository, Delft University in Delft, The Netherlands. Contact Ruben Post at ruben.post@ul.com.